Go Figure: Musings from the Mind of Rob Wilstein. Tough as it is to admit, I may be the laziest researcher in the novel writing community, though I’ve done no research into my competition. Research has never been a strong suit for me. In grade school, when asked to write a report on say, the national products of Guam, I generally spent two weeks on the cover page, red construction paper depicting a Guamanian (?) citizen surrounded by images of vegetables I imagined to be consumed in Guam. On the night before the project was due, I’d pull the G volume from my World Book Encyclopedia set and copy the section on Products, Guam. Occasionally, when forced into my local library to find a book, my friend Larry Koslow and I walked to the branch on 63rd Drive in Rego Park, Queens, stopping on the way back at Al’s Joke Shop to stock up on pepper gum and plastic vomit. I don’t think the vomit ever fooled anyone. It just looked like a piece of orange plastic sitting on the rug to me. But novel writing is serious business, and it calls for serious research, particularly when writing my historical novel, Big Shot, set before my birth in pre-war New York City. Anything before my birth has always seemed ancient history to me. I remember the great Blizzard of ’78 like it was yesterday, but, as it was six years before my son’s birth, I’m sure it is ancient history to him. The end of World War II occurred six years before my birth and so it too exists in the deep past. Although I have risen from my armchair for some of my research, including tramping around the Lower East Side, the setting of my novel, visiting actual tenement apartments of the 30’s courtesy of the Tenement Museum, eating knishes at the still-existing knish bakery I have written about in the book, and generally taking in the Jewish gestalt of the neighborhood, much of my research has been accomplished via what I like to call ‘the magic box’, my laptop. And though I have visited numerous websites in search of relevant information, my most frequented site is Wikipedia. I confess. My name is Rob and I use Wikipedia. I can hear the japes and taunts from all you library users, you stack searching, book toting, backpack wearing researchers as you emerge from the depths of the Athenaeum into the light of day, having found the exact quote uttered by Sir Winston Churchill to Kaiser Wilhelm at the Battle of the Somme. I didn’t look that up, so there may be some inaccuracies. But Wikipedia can be very helpful. Did you know, for instance, that Franklin D. Roosevelt was President of the United States in the 1930’s? Now you do. My armchair research has also turned up websites like ‘A Yiddish Glossary-The Gantseh Megillah’, which, the site tells me, is translated as ‘the whole deal’. A Lower East Side Street Map site gets my protagonist around his neighborhood without getting lost. 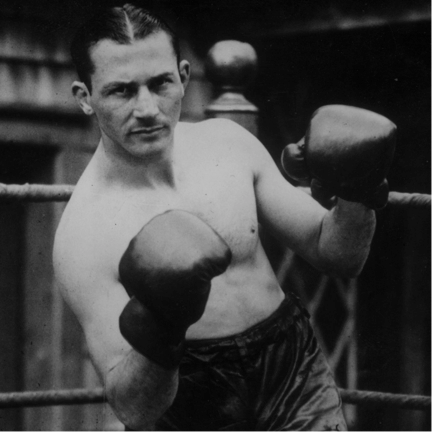 Hotboxingnews.com introduced me to ‘Slapsy’ Maxie Rosenbloom and Benny Leonard, two of the great Jewish boxers of the era. And for background on Jewish organized crime in the 30’s I found www.jewwatch.com, which sounds more nefarious than it is. The easiest research has been picking up the phone, still armchair bound, and calling Uncle Lou in Florida. At ninety-three he is spry and communicative, if I can catch him when he’s not out with one of his girlfriends. He lived on the Lower East Side, in one of those tenements, and he can provide color commentary on the music, the restaurants, and the daily life and language of immigrant Jews, Italians and Irish back in the day. Easier still is flipping on TCM, the classic movie station, and watching an old black-and-white, noting the dress, the men’s hats, the furniture and wall coverings, cars and building facades. I can relax, put my feet up, pop some corn, and convince myself I’m doing research for the book. So listen up, you kids out there, you budding novelists, you neophytes in the uncharted waters of publication, take it from someone who is unpublished and unread. Research is the key to knowledge, and knowledge is power, and power is corrupt, ergo research will corrupt you and your manuscript.